1. Rebecca Minkoff. 2. Tory Burch. 3. Vince. 4. Chloe. 5. Rebecca Minkoff. 6. Tory Burch. 7. Tory Burch. 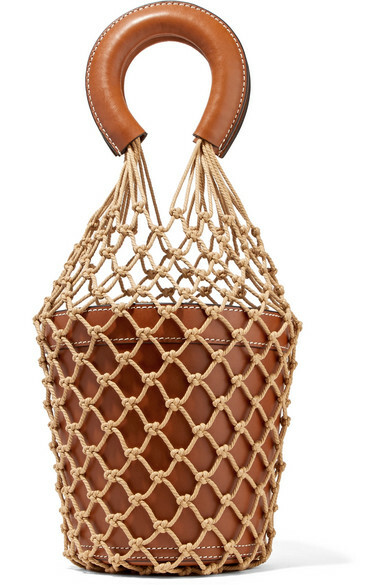 This time last year was all the about the bucket bag, -see MY obsession with it here- but thanks to the ever-popular Chloe 'Drew' bag, a number of brands have adopted the saddle-style shape naming it the IT bag for spring/summer 16. The crossbody style makes for the perfect hands-free work OR weekend bag that's not only fashion forward, but more importantly, functional! Coming in an array of colors, finishes, and textures, saddle bags are by far one of this season's biggest trends you'll definitely be seeing alot more of in the near future.